Spinach: The original superfood and performance enhancing drug of Popeye. I love Ma Sip’s patented spinach dip, but I think the ingredients that turn it into a dip likely take away some of its superfood shine. Kale: I hate Kale. Hate, hate, hate it. There is nothing worse than reading a restaurant’s menu and seeing a Caesar Salad that sounds scrumptious, only to realize it’s kale and not lettuce-based. Beans: Bean, beans the musical fruit… you know the rest. I like beans on a massive burrito, thus negating all the positive effects they are supposed to provide eaters with. Sweet Potatoes: I’m not much of a yam fries guy, but this is the only way I’d choose to consume sweet potatoes. Salmon: As a wee little sipper, the Sip Advisor wasn’t much of a salmon fan, which is practically criminal when you live in the Pacific Northwest. Over time, I’ve come to enjoy some salmon dishes, such as the cedar plank barbecued variety. Wheatgrass: I wonder if wheatgrass can be used in hefeweizen beers? Green Tea: Skip. I mean, it’s not even a food. Dark Chocolate: Only milk chocolate for this hombre. Broccoli: I like broccoli. I know that might shock some of you who have read the rest of this list. Here’s the catch, though: that little green tree had better be smothered in ranch dressing or fried in tempura if you going to put it on my plate. Cauliflower: See broccoli… but to a lesser extent. Garlic: I guess garlic fries kind of defeats the purpose of it being a superfood! Beets: Interestingly, Pa Sip – a selective eater – loves beets. Unfortunately, that preference was not hereditary. Avocados: Best known as the primary ingredient in guacamole, which I find to be hit and miss, depending on the creator. I find it safest to just avoid the green guck. Greek Yogurt: While I like Greek food – souvlaki, calimari, etc. – their yogurt, and all yogurts in fact, are an enemy of the Sip Advisor state. Quinoa: The thought of quinoa is enough to make the Sip Advisor cry. Strawberries: Alright, this I can get behind. I love strawberries, especially the dipped in milk chocolate type. A very sensual superfood. Watermelon: As much as I love strawberries, I worship watermelon. Watermelon isn’t nearly as sensual, however. Pistachios: While a fan of many nuts (that doesn’t sound right! ), I have never really got behind pistachios. I do hear it’s a popular ice cream flavour, though. Eggs: Mrs. Sip is big on egg dishes, but the Sip Advisor only partakes on occasion. Give me the other main elements of a balanced breakfast instead. Almonds: My affinity for trail mix has been well-documented and a main ingredient of any good trail mix is the almond. You can also double up with the chocolate-covered variety, if you so choose. Ginger: Does it count if it’s in liquid form and mixed with rum or whiskey? Pumpkin: I appreciate their use as Halloween decorations, but don’t want anything to do with pumpkin seeds, pumpkin pie, or anything pumpkin-spiced. Apples: I’m cool with apples… so long as they’re of the Granny Smith family… and perhaps smothered in caramel and other goodies. Cranberries: I have a respect for cranberry juice and all the amazing cocktail that it provides. Speaking of cocktails, let’s get to today’s drink! Why can’t things like bacon and potato chips be considered superfoods? All we need is for one nutritionist to lose their mind and declare them as such. Kind of makes a guy want to go back to school, earn yet another degree and make this dream happen! This drink was good, but tasted too much like juice. The alcohol was virtually hidden, so should be consumed with caution. Then again, if you have no interest in alcohol flavours, this might be the beverage for you. As we delve into some Frangelico hazelnut liqueur, I thought it would be a good time to discuss the good, the bad, and the ugly of the nut world, or better put: the ones I love versus the ones I loathe! 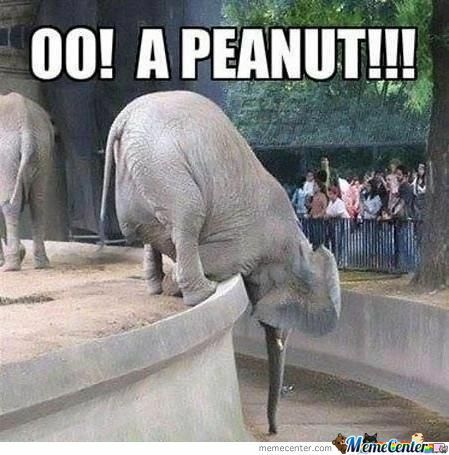 Peanuts – I am a certified peanut fiend. I like most all types, with the exception being peanuts in shells and with their skins still on. I’m just not a fan of the fuss and mess that comes with them. I’m currently in the process of devising a masterful trail mix recipe, set to include honey roasted peanuts, Smarties, chocolate covered raisins, and cashews (more on them later). Almonds – These are best smothered in chocolate and not being sold by one of those groups that charges an arm and a leg for a small box. Charity be damned when I want my almond fix. Almonds also work on their own, roasted or salted. I also have massive respect for almonds for the flavouring they lend to Amaretto, one of my preferred nightcaps. Macadamia Nuts – The Hawaiian treat, which everyone must bring back when vacationing on the islands, is a favourite of mine and Mrs. Sip. We are particularly fond of the Mauna Loa line, which includes varieties such as milk and dark chocolate, honey roasted, Maui onion and garlic, and coffee glaze. A couple companies have also devised Macadamia Nut liqueurs, which are very tasty. 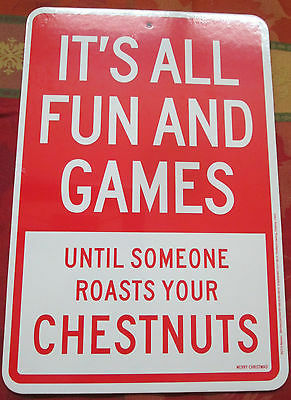 Cashews – I absolutely love cashews, but they are so darn expensive that I only get them on very special occasions (ie. when other people serve them and I’m lucky enough to be on hand to help them with their abundant supply). Figuring everything was cheaper in southern Africa, during our recent travels, I grabbed a pack of cashews, without even looking at the price. When they were scanned at the checkout, my jaw dropped, but I’m not one to leave an item behind. They were delicious and got me through some long bus days. Pecans – I like pecans in Turtles chocolates, but little else. I think it’s because the other ingredients make up for this lackluster nut. There’s just something about the taste of pecans that I can’t wrap my head around. The texture is also an issue for the Sip Advisor. Walnuts – It’s amazing how odd these nuts look, inside their cases. They remind me of a turtle shell and don’t look very appetizing. I think I turned on walnuts when considering the work it takes to get one open, using a nutcracker (which, given its name, brings about many images of horror) and then having to clean up the mess that creates. Corn Nuts – These are the jawbreakers of the nut world and while they come in many interesting flavours (some of which I’d like to see brought over to other nut and even potato chip options), I just don’t enjoy the munching experience that comes along with corn nuts. 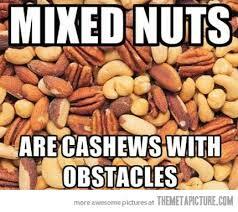 There are also a few nuts that I just don’t have any opinion on one way or the other. These include hazelnuts (funny enough, given today’s liqueur choice), Pistachios, and Brazil Nuts. Have I missed anything?